Charlie and Nancy completed their entire Grid together. 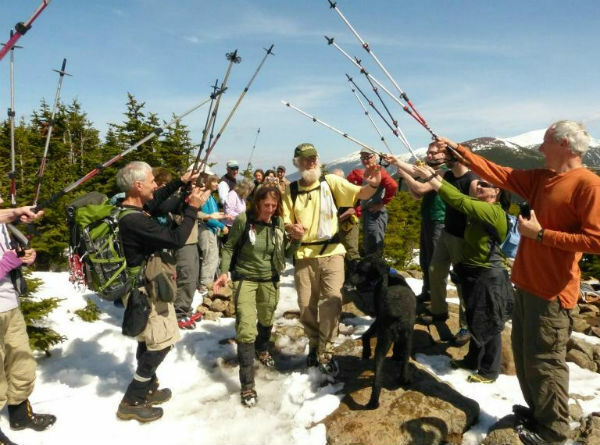 Joined by many of their friends, they finished on Mount Pierce on April 15, 2012. 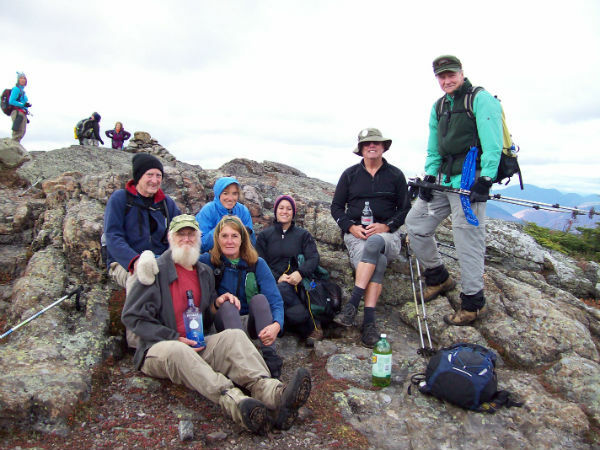 Charlie and Nancy on the summit of Mount Pierce with 9 other Grid finishers. Charlie and Nancy started hiking together on their very first date where Mt Mooselauke was their mutual attraction. It wasn't until 2005 that they discovered their love of working on lists.